The brothers Karl and Wilhelm Steinhage founded a garage for agricultural machines in newbuilded forge in Retzen, Germany. Mainjob was the prepare of horseshoes, the production of field wagons and the repair of agricultural machines. After a short time the prepare of horseshoes was limited and they began to build some agricultural machines like ploughs and cultivators. These products were sold rapidly so they could enjoy a good reputation. After the world economy crisis in the years of 1931 to 1933 better years for the agriculture began and the ask for new agricultural machines became louder. Karl and Wilhelm took over a substitution of KRUPP-Erntemaschnen. Because of the high qualitiy standard of these machines the trust in the brothers grew up immediately. After the second Worldwar many pieces of the production were destroyed, so they had to fight with all what they had to repare the machines of the customers and to keep the service alive. The year 1941 was the birth for the agricultural trade. Now all companys, which repared agricultural machines could joyn in. So the company of Karl and Wilhelm Steinhage. Since then the company has been training trainees. After the reform of currency they sold no more KRUPP-Erntemaschinen, but BAUTZ Erntemaschinen. The first new hall with 260 quaremeters was built. In here they repared the agricultural machines and they had a warehouse in it. Only few years later they hadn´t enough space, that´s why they built an new hall. 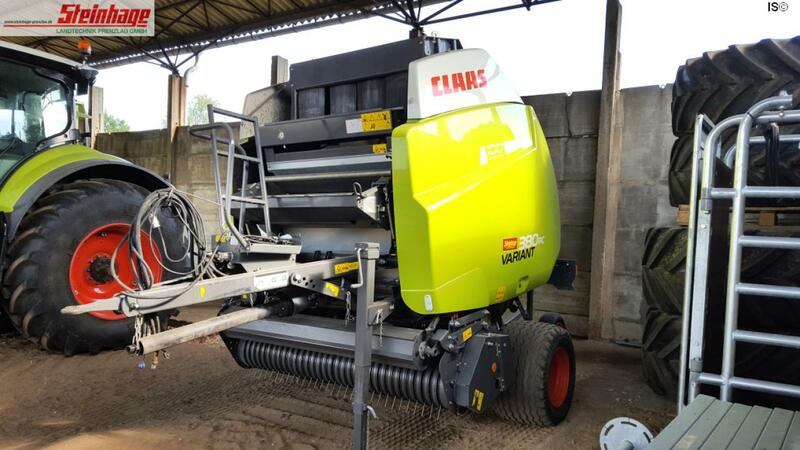 The substitution of CLAAS-Erntetechnik could be taken over. The garage of today was born. The space for the garage became bigger with another 400 squaremetters. In this hall was a storage for rawmaterial, a room for machinery and a staying room for the stuff which has grown up to 16 persons. In 1965 a new washing hall was built. A new office and a warehouse were built. The sons of Karl and Wilhelm Steinhage, Karl Steinhage junior and Wilhelm Steinhage junior took over the responsibility for the commercial area. Now Wilhelm Steinhage jun. was the leader oft he technical area and concerned with the planning and development of storage for grain, stable installation and the construction of steel halls. In this year the Steinhage company took over the FENDT tractors. The construction of a new storage- and exhibitionhall (1.500 quaremeters) began. Modern crane for loading the machines which have become heavier by the years. A new ground of 2.600 squaremeters in Retzen, Alte Landstraße 7 was purchased. A new used machine storage. The foundation of STEINHAGE LANDTECHNIK PRENZLAU GmbH. With the locations Haßleben, Seelübbe and Schmarsow (since 2005), which keep roundabout 50 employees today. Nowadays in Retzen are more than 40 employees. Karsten Steinhage, the son of Karl Steinhage is also in our team. Our qualified workers take part in trainings successively because of the technical progress. Always in work for agriculture. We celebrated the passing of 20 years with all our employees. After a long way through the books and plans the newbuiliding of our location in Schmarsow began. On 30.03.2012 we celebrated the Opening of our new garage, office, and warehouse. The next day we had a „day of open doors“. As special guests the boys of timbersports (Martin Komarek & Stefan Stark).